EATON RAPIDS SCHOOLS BUT CLOSE IN! SITUATED IN A WONDERFUL QUIET SUBDIVISION OFF BAILEY AND HOLT ROAD! 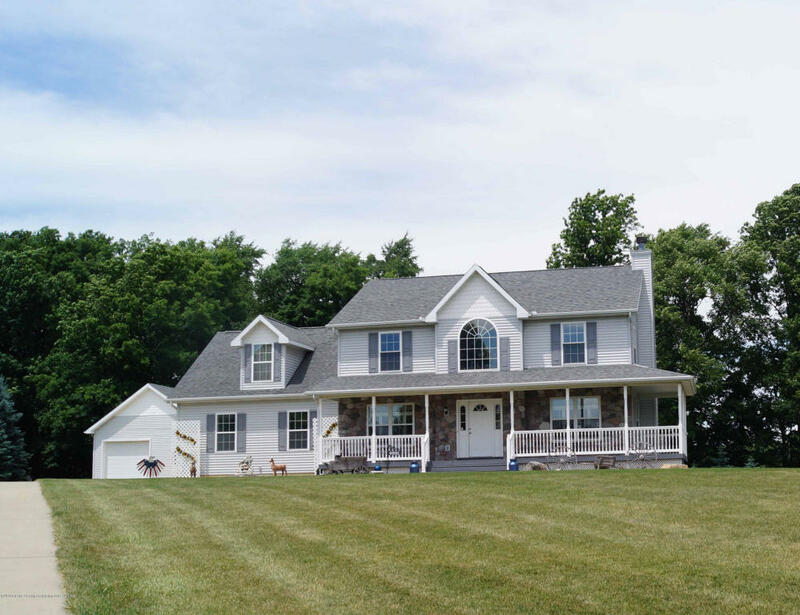 NESTLED ON 1.07 ACRE PARCEL ON A CUL-DE-SAC! APPROX. 24X32 2ND GARAGE WITH A CONCRETE FLOOR. WONDERFUL WRAP AROUND FRONT PORCH AND TREMENDOUS CURB APPEAL. LARGE GREAT ROOM WITH A CENTERED FIREPLACE AND LOADS OF WINDOWS. FORMAL DINING, STUDY OR BONUS SPACE. SPACIOUS KITCHEN, BRIGHT & CHEERY. LOADS OF CUPBOARDS AND COUNTER TOPS. APPLIANCES ARE INCLUDED! ACCESS TO THE LARGE 2 & 1/2 CAR GARAGE. INFORMAL EATING AREA WITH A BAY WINDOW & DOORS TO THE WAY OVER-SIZED NEWER DECK! ENJOY THE SPACIOUS MASTER SUITE, WALK-IN CLOSET AND FULL BATH WITH A SHOWER & WHIRLPOOL TUB!